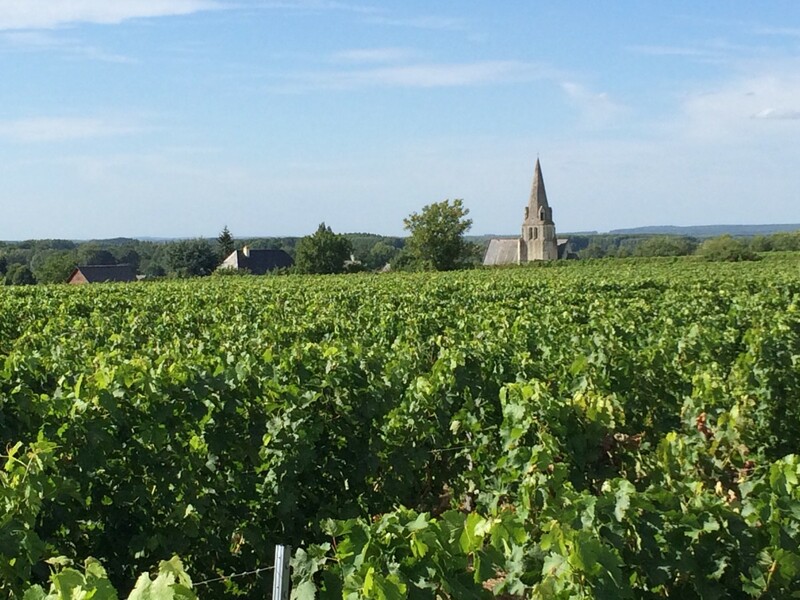 As the boat drifted away from the town of Saumur on a summer night, and I was drifting away in my thoughts at the end of the day (and, perhaps, from one too many glasses of red), I thought about the knotty notion of terroir. When does wine become more than just about thirst? The Loire is a vast collection of different terroirs following the Loire River from the centre of France to the Atlantic. We were in Saumur-Champigny AOC, in the centre of the Loire region. South-east of Angers, on the left bank of the river, and east of Coteaux du Layon and Anjou. The boat drifted to the point in the river where the Saumur region ended and where Touraine began. 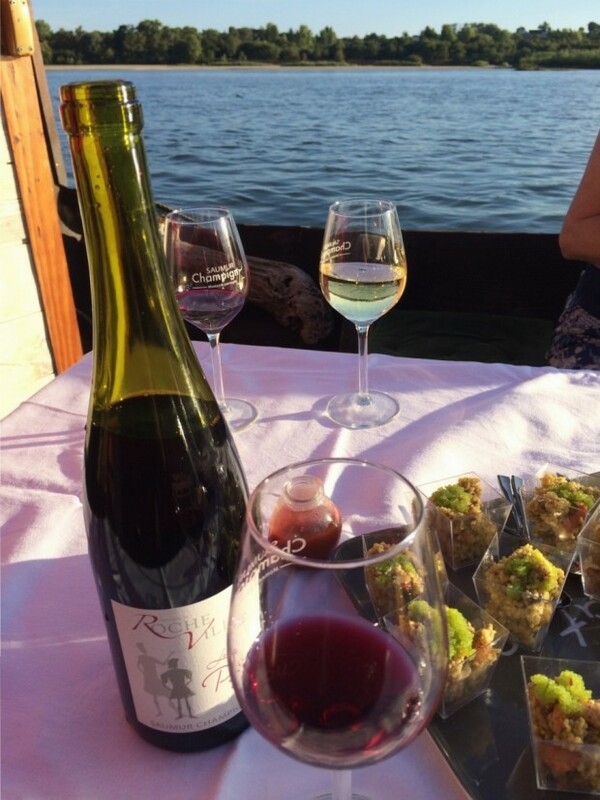 A winemaker pointed to the old stone stairs on the river bank. The stairs were divided down the middle. Although they joked about it, saying one side was for the people in Saumur and one was for Touraine – there were clearly still some healthy rivalries between the neighbours. The line where one region started and another ended was clear in the minds of the winemakers. The concept of terroir is an old and contentious topic. To the Ancient Romans, to understand the origin and typicity of a wine could help against fraud. 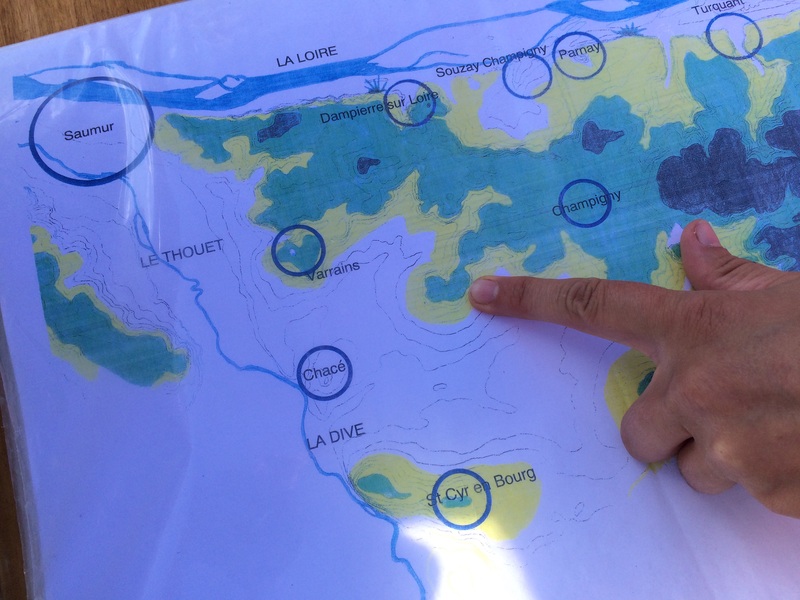 Perhaps a deceptively simple question to help define terroir is to ask, would a wine with exactly the same characteristics be produced in a different locality? This is not as straight-forward as it seems. I was told by winemakers on the boat, the impact of climate change is making the wines riper and changing the style – will the boundaries shift as climate changes? And, for a different reason, there has been a re-drawing and re-negotiation of appellation boundaries over the years (I’m thinking here of the short-lived Chaume AOC in the 2000s). Terroir can be malleable, even political, and the local notions of terroir/terrority is always highly contested. A recently published book throws more light on the terroir subject, and refers to the Loire often. Tasting French Terroir – The History of an Idea by Thomas Parker explains how culture became part of the notion of terroir. How the French eat and drink today is derived from how a specifically French brand of culinary aesthetics and regional identity developed during the Renaissance. The book shows how French school children, during the Renaissance, when learning about a region such as the Loire, were encouraged to taste the “personality” of the region through the food and wine. This helped to create a national identity as the quality was associated with the place. These are also the two characters in Saumur-Champigny wine. There is the good-time, light, glugging style – the vins de soif – that seems to endlessly supply the bistros of Paris. Or even the Cuvée des 100 Vignerons made especially for Les Grands Tablées du Saumur-Champigny. 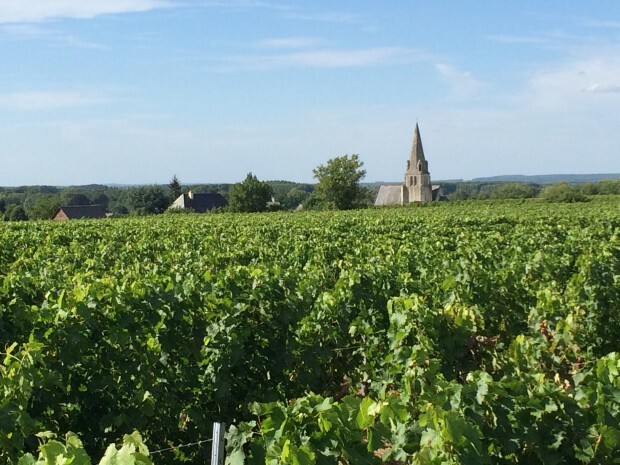 Then there are the serious, independent wineries that make wines made to be held onto longer – they are able to demonstrate depth and often elegant expressions of the rich and deep soils of tuffeau, limestone clay and sand clay in the Saumur-Champigny area. We were here to explore the second style. The Romans identified Saumur-Champigny and the name derives from its original Latin name: Campus Ignis (‘Field of Fire’). Standing out in the vineyards to taste the wines, the sun was almost blinding. The early afternoon was meltingly hot. The AOC appellation of Saumur Champigny permits only Cabernet Franc, Cabernet Sauvignon and the Pineau d’Aunis grapes to be used in its red-only wines, although the serious contender of the region is Cabernet Franc. 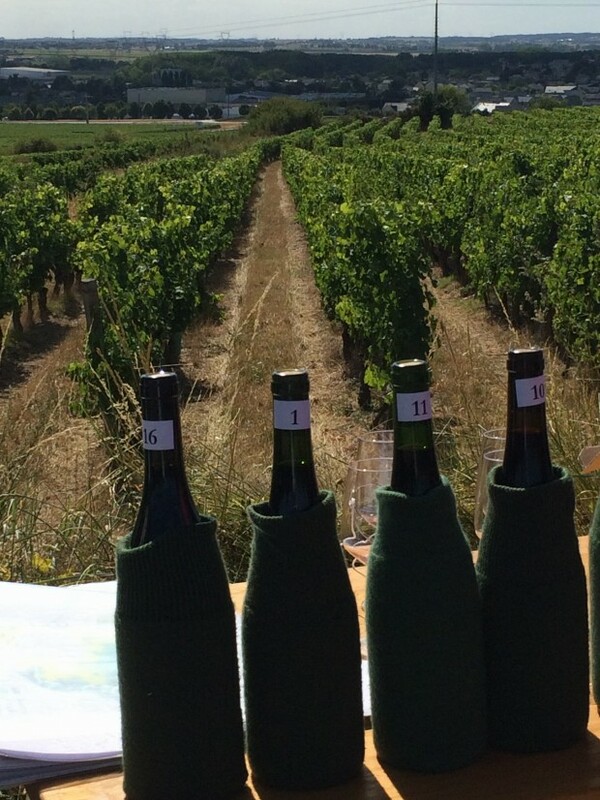 Nine communes make up the appellation of Saumur Champigny. We visited three specific terroirs, each with their own unique character: St Cyr en Bourg, Les Poyeux and Sauzay-Parnay. The wines were tasted blind, in situ, and we were given the names of the producers at the end of the day. The first stop was the Butte de St Cyr opposite the cooperative cave, Robert and Marcel (changing its name in 2013 from Caves des Vignerons de Saumur). At an altitude of 65 metres, the vineyards are south/south-west facing vines, maximising sun exposure. 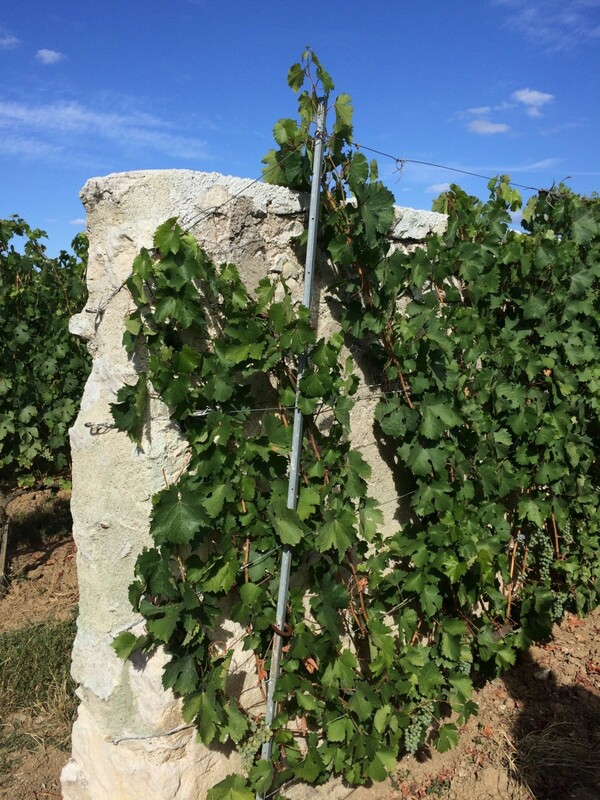 The soil is shallow sand and chalky tuffeau, which moderates the temperature and supply of water to the vine. 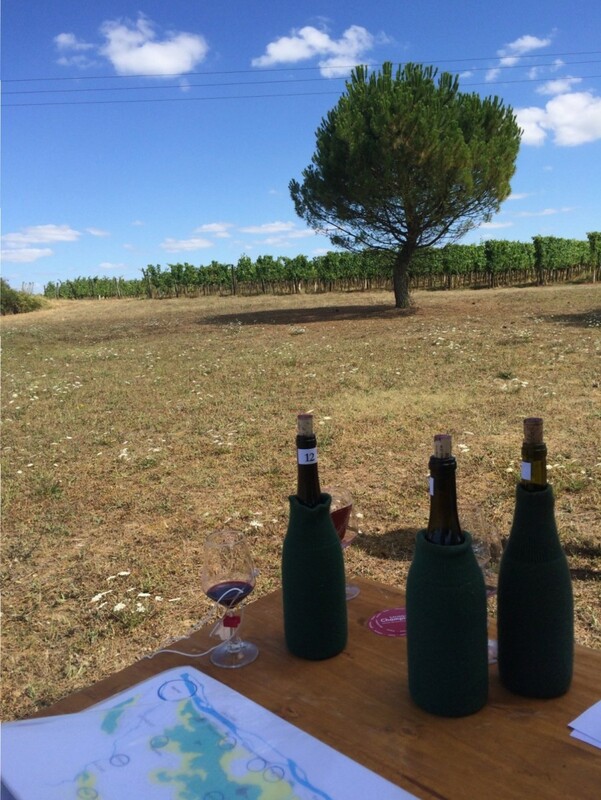 I’m glad we were tasting the red wines under the shade of the tree. There was a slight breeze from the river (about ten minutes drive away). The wines from here are light and lively with lots of fresh raspberries and fantastic mineral characters. These wines had an extra depth of fruit and mouth-watering minerality. The 2014 vintage was significantly better balanced than the 2013 vintage. Arguably one of the best wines from this region is Clos Rouegeard’s Saumur-Champigny Les Poyeaux. It is their oldest parcel of land – cultivated here since 1664 – so I was pleased to see the infamous vineyard first hand. The Wine Opus describes their Les Poyeaux as a “Ferrari” of wines. Tasting other wines from here, clearly shows why this area has been singled out over the centuries. Even though it is a little higher in altitude than St Cyr en Bourg, there is little breeze here in the afternoon. The chalky soils trap the heat and keep the vines warm during the night. The dominant characters here from around the Les Poyeaux vineyards: depth of fruit and silkiness. There is a lovely roundness on the palate. The fruit can only be described as exuberant in the 2014 vintage. But the earlier vintages showed how wine from this area becomes silkier and finer with even just a few years age. For the final stop, we found ourselves next to a very unusual vineyard called Clos d’Entre Les Murs. I have never seen anything quite like it – a unique walled vineyard on the Chateau de Parnay estate. The vines are planted on the north side of the wall to keep the roots in the shade. The vine is put through the wall and the rest of the plant are on the south side benefit from the sun. The best Cabernet Franc wines from here here had greater body, richness and a velvety texture. 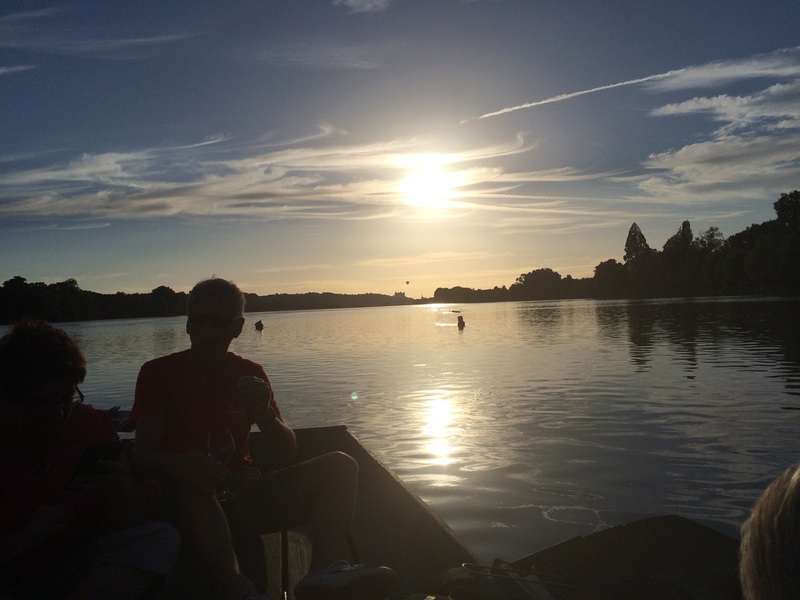 Drifting along the Loire river on a boat with a glass of Saumur-Champigny and seafood, Cabernet Franc from Saumur-Champigny is the taste of summer. The wines have a pretty red raspberry fruit character in St Cyr en Bourg, a beautiful silkiness in Les Poyeaux and real depth and richness from near Parnay. It also provides incredible value, especially the 2014 vintage, which is one of the best since 2009. Thank you to the winemakers and Interloire for the visit. It was great to be there for the local festival, Les Grands Tablées du Saumur-Champigny.